Polymeric scaffolds have played important roles in biomedical applications due to their potentially practical performance such as delivery of bioactive components and/or regenerative cells. These materials were well-designed to encapsulate bioactive molecules or/and nanoparticles for enhancing their performance in tissue regeneration and drug delivery systems. In the study, several multifunctional nanocomposite hydrogel and polymeric nano(micro)particles-electrosprayed platforms were described from their fabrication methods and structural characterizations to potential applications in the mentioned fields. 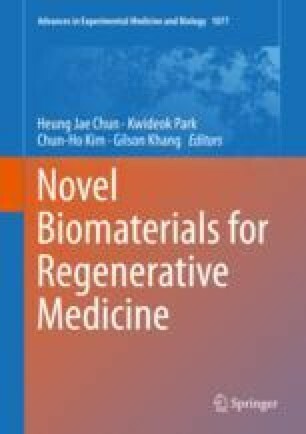 Regarding to their described performance, these multifunctional nanocomposite biomaterials could pay many ways for further studies that enables them apply in clinical applications. This research is funded by Vietnam National University Ho Chi Minh City (VNU-HCM) under grant number B2015-20a-01. Some of the material characterization facilities are supported by National key lab for Polymer and Composite Materials-HCMUT, VAST and HUFI. This work was also financially supported by Vietnam Academy of Science and Technology (VAST) under Grant Number VAST03.08/17-18 and Vietnam National Foundation for Science & Technology Development (NAFOSTED) [grant number 106-YS.99-2014.33].